Joining us in studio this episode is a very special guest, Jim Rotolo, host of The Wild & the Innocent on Sirius XM E Street Radio, and he’s also heard playing The Rock of New Jersey on 105.5 WDHA. Along with being a diehard Springsteen fanatic, Jim is a true fan of Guns N’ Roses who’s seen the band live during the Use Your Illusion era, and has stuck with them for the many incarnations of the band. He gives his thoughts on what’s impressed him throughout the years and made him stick ... See More around for life. 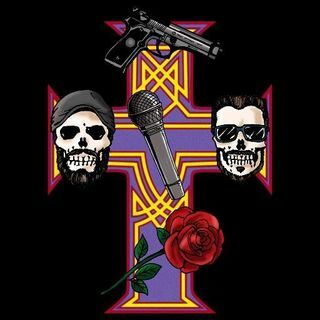 In this episode we discuss some news in the GN’R world, our thoughts on some of the members outside projects, as well as the band taking political stances on stage. Jim also raises the question, does “Oh My God” by The Pretty Reckless sound a tad similar to a song of the same title you’re likely familiar with? You can decide when you hear it. Be sure to follow us on Twitter @TheAFDShow and keep up with all that’s going on in our universe.